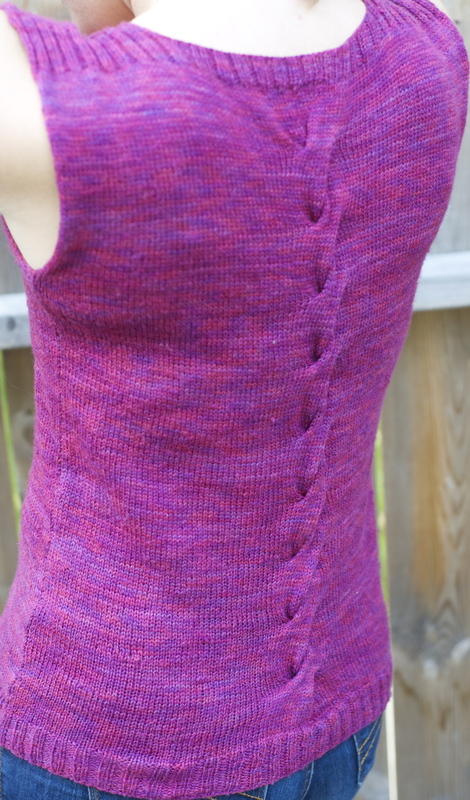 It’s super cute on you as is, but I am partial to 3/4 sleeves myself. I also LOVE the color! Thanks! I saw a very similar one on ravelry and remembered this yarn that had been sitting in my stash, literally for years. 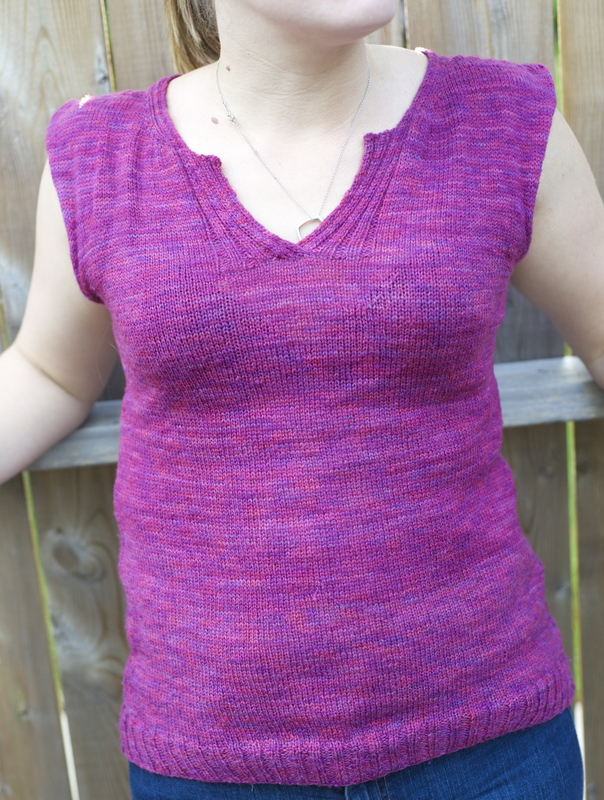 I think I might get more use out of it with sleeves, but I’m afraid it’ll look dowdy…. It’s beautiful and very flattering.